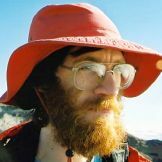 I go back to school, learn how diverse India is and how to keep it neat and clean; I swot up biology, geography, history, and find 17 reasons to return. A few hours before my flight to Malaysia, I crouched at the entrance of Sagar Gift and Fancy Stationery. I was sorting through a stack of school posters, all dusty from the street. 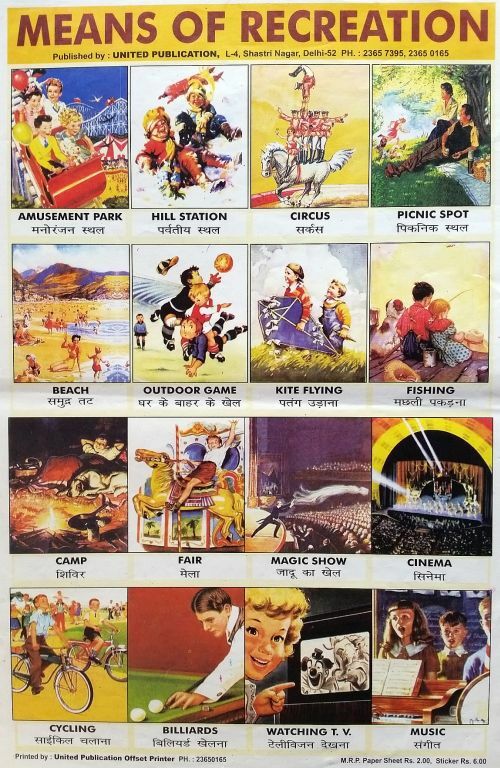 With rows of pictures captioned in both English and Hindi, they made excellent language practice and a wonderful cultural souvenir and were only two or three rupees each. I purchased several dozen. Several posters teach these lads and their sisters how to be good citizens. 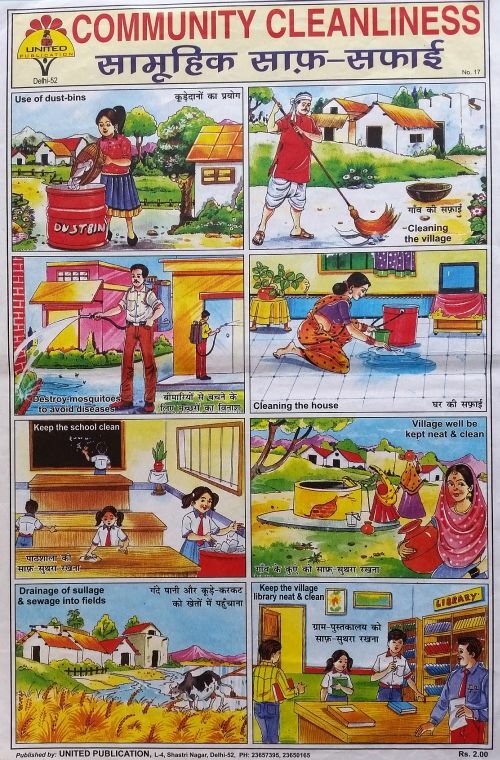 “Community Cleanliness” shows a girl tipping rubbish into a dustbin in a village that looks unbelievably litter-free. Nowhere in India, alas. Smiling pupils show how to “keep the school clean” by polishing desks and wiping the blackboard, and “keep the village library neat and clean”. Women carry water in bulbous red jars from a village well that’s also “kept neat and clean”, before a warning against “drainage of sullage and sewage into fields”. This poster reminded me again that, although India has some of the planet’s biggest cities and that’s where I’ve mostly been, around two thirds of the population still lives in rural villages. The predictable exhortations on “Road Traffic Signs” made me laugh when I thought of Indian roads. “Always Stand in Queue at the Bus Stop”, “Always Walk on Foot-path”, “Always Keep Left”, “Always Obey Traffic Signals”, and “Never let any part of your body outside the vehicles”. As we Kiwis say, yeah right! Few students pass these tests. “Driving rashly through the heavy traffic is dangerous”. Don’t I know it after three months here. “National Symbols” teaches children, and me, that India’s national animal, bird and flower are the tiger, peacock and lotus. Posters for geography class show rivers and dams of India. For biology there is “Beaks and Paws” of 20 birds (most colourful is the Copper-Smith) and 16 trees with their fruit. Historical posters cover gods and sages in the Hindu period, then Moghul emperors and monuments like the Red Fort and Taj Mahal, then chubby-faced British colonial rulers, then 24 Freedom Fighters like Mahatma Gandhi, before Presidents and Prime Ministers of independent India. In a patriarchal society where far fewer girls can read and write than guys, it was good to find two posters featuring 32 great Indian women: from Moghul princesses to Mother Teresa, Gandhi’s wife to Prime Minister Indira, astronauts to novelist Arundhati Roy. For once school is out, there is “Means of Recreation”. 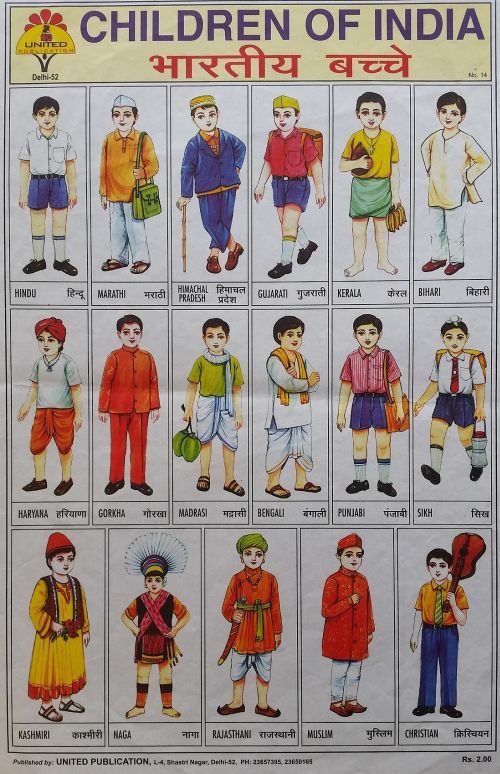 This is a curious poster, drawn in a different style, with English children, not Indian. A dog sits straight up beside a boy fishing, his arm around his little sister, in an idyllic vignette that looks like a biscuit box picture. There is a rollercoaster at an amusement park, a merry-go-round at a fair, and a stage magician in tails, who looks quite Victorian. An earnest young gentleman plays billiards. A curly blonde lass points with glee at a black and white clown on TV. On the beach, a white woman in yellow bikini with champagne glass suggests an American dream of California. I’d have guessed it was an old Western poster, a collage of pre-war advertisements perhaps, except for the Hindi script and a single caption below kids playing in the snow: “Hill station”. Posters of spices, snacks and sweet dishes helped me identify what I’ve eaten and remember what I’ll miss: Paoo-Bhaji and Chole-Bhatore, samosas and dosas and laddoos. My favourite poster has 20 Festivals of India that showcase the country’s religious diversity: Hindu, Muslim, Sikh, Jain, Buddhist, Christian, as well as a secular parade of tanks and helicopters on Republic Day. I’ve only been here for Diwali, Dussehra, and Holi, leaving 17 more reasons to return!